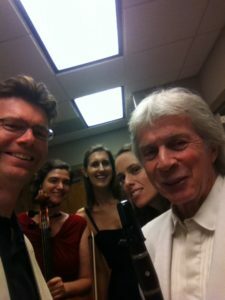 Here’s a backstage shot after a vivid Mozart Clarinet Quintet with Richard Stoltzman. A fabulous week as temporary 1st violin of Cecilia Quartet! New position at Colburn School in Los Angeles!